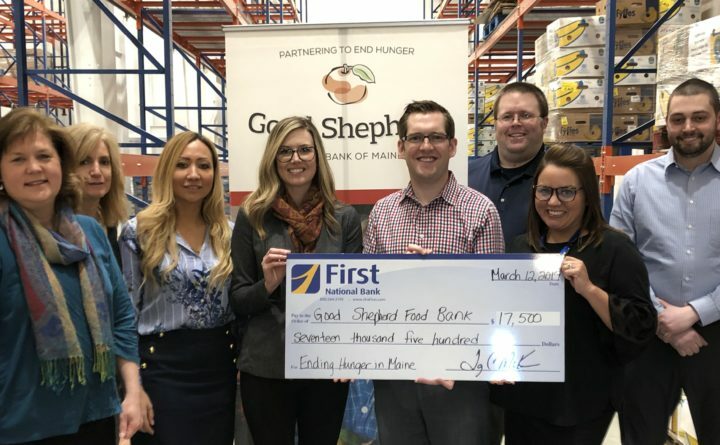 Since 2016, as part of a three year capital campaign, First National Bank’s donations have contributed to the renovations of Good Shepherd Food Bank’s Hampden food storage and distribution center. This facility allows Good Shepherd to provide year-round access to local produce, dairy, meat and seafood products to families struggling with hunger in northern, eastern and central Maine. For more information about the Good Shepherd Food Bank visit https://www.gsfb.org.